Biofield Therapy is a groundbreaking therapeutic method that uses sound to relax & reset the central nervous system. Sound is an ancient healing medium that has been utilised around the globe for thousands of years. 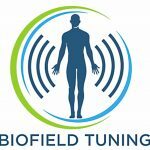 Biofield Tuning (also known as “sound balancing”) is a sound therapy method that works with the power of sound and the human biofield to help alleviate conditions such as pain, anxiety, insomnia, PTSD, emotional overwhelm, digestive issues, adrenal fatigue and more. The energy field that surrounds and permeates our bodies – is inextricably connected with our conscious and subconscious mind, including all of our memories. All physical, mental and emotional disorders can be perceived as “dissonance” in our energy fields. Biofield Tuning is able to diminish and resolve this dissonance and in doing so, alleviate and even eradicate the corresponding physical, mental and/or emotional symptoms. brings your nervous system into balance. A Biofield Sound Therapy Session is done within a quantum kinesiology session, it takes approx 1.5 hours, or 3 hours for advanced session (please allow extra time should we flow over). DURING – Once you arrive we find your optimal goal to be worked on. Then we move, fully clothed/shoes off, to the massage table. Each session is called a ‘balance’ meaning the ultimate goal is to bring every aspect of you into balance. 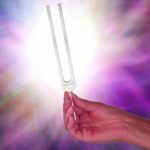 Tuning Forks will be activated & used to scan the body from a distance, whilst looking for resistance & turbulence in the energy field, & a change in the overtones & undertones of the tuning fork. Upon finding the turbulent area the fork is used to release that specific spot, the body’s organizational energy uses the steady vibrational frequency to “tune” itself. In summary, the dissonance resolves & resistance gives way, releasing tension within the body. Energy Work is gentle, however result is powerful. AFTER – During the three days following a balance it’s important to drink plenty of water, & be gentle on yourself. Most clients report feeling lighter & less weighed down upon finishing a session. Note: We also accept bank transfer. Please add your name to the receipt & send by email to: mail4clarity@gmail.com.